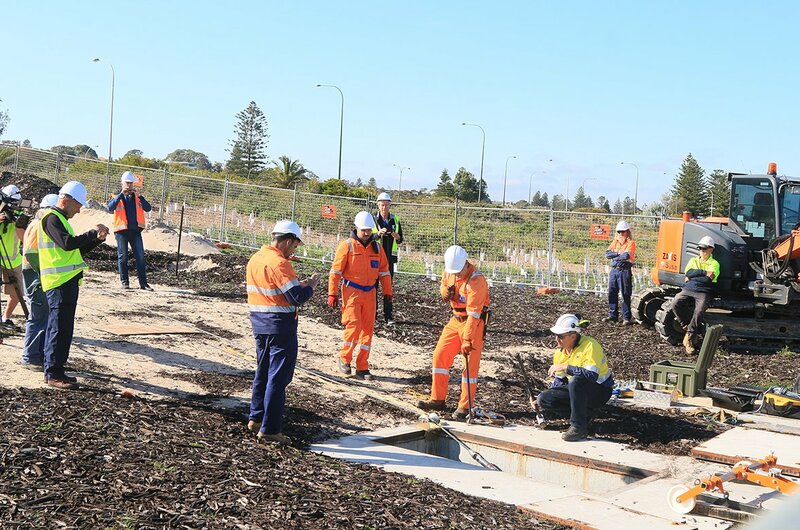 The Indigo Central submarine cable has landed at Coogee Beach in Sydney this week, marking a significant milestone in the construction of the 9,200 kilometers Indigo cable system that will run from Singapore to Indonesia and Sydney, Australia. The Indigo cable system is built by a consortium consisting of Australia's education and research network AARNet, Google, Indosat Ooredoo, Singtel, SubPartners, and Telstra. Last year, SubPartners was acquired by Asia-Pacific fiber infrastructure company Superloop. Indigo consists of two distinct cable projects, Indigo West connecting Singapore to Perth via Jakarta, and Indigo Central connecting Perth to Sydney. Designed to complement each other when joined, the consortium says the system will form the first direct optical path connecting Sydney and Singapore. 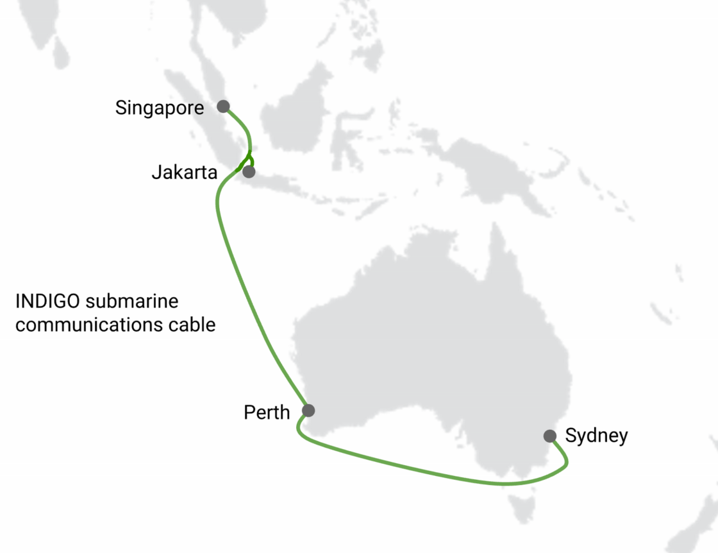 There are other submarine cables that link Singapore and Australia, of course, such as the venerable (and accident-prone) SEA-ME-WE-3 and the just-completed Australia Singapore Cable (ASC). Both these systems land at Perth in Western Australia, while the Indigo Central segment adds a massive link round the south of Australia, to join up Sydney in New South Wales. At 4,850km, Indigo Central will br longer than Indigo West's 4.600km. Construction is on-track and the overall Indigo cable system should be ready for service by mid-2019. When completed, the two-fiber pairs will be able to support up to 36 terabits per second. Indigo West has already landed at Perth in September this year (see picture below). Indigo Central is due to be completed in December this year, forming a unique submarine communications link between the Australian cities of Sydney and Perth. Australia's data scientists, among others, are welcoming the news, as it help them share resources around the giant nation. As the first trans-Australian submarine cable, Indigo Central will provide a critical diverse express path between Australia’s two most powerful supercomputers at the Pawsey Centre in Perth, and users in Sydney and the rest of the nation, says AARNet’s CEO Chris Hancock, helping to support a significant growth in data-intensive collaborative research in Australia. “The landing of Indigo Central cable by Optus is a landmark development which will boost Australia’s communications ecosystem with much-needed high-speed capacity and network diversity. 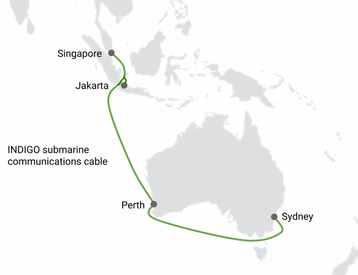 Together with Indigo West, the next-generation Indigo Central data superhighway will enhance Singtel and Optus’ submarine networks, creating a cable ring connecting Australia to Singapore, through Southeast Asia, across the Pacific and back to Australia,” said Ooi Seng Keat, Singtel’s vice president of carrier services, group enterprise. It's surprisingly hard to find a picture of the Indigo Project. It is also the name of a charming indie-pop band based in Leeds UK and, closer to home, a therapy center in Sydney. Once you've avoided these, and an Indian airline called IndiGo which serves both Perth and Sydney, you still have to sift pictures of the different landing stages. Unable to locate a picture of the Sydney landing of Indigo Central, we've used a picture of the Perth landing of Indigo West, and apologize for any confusion .